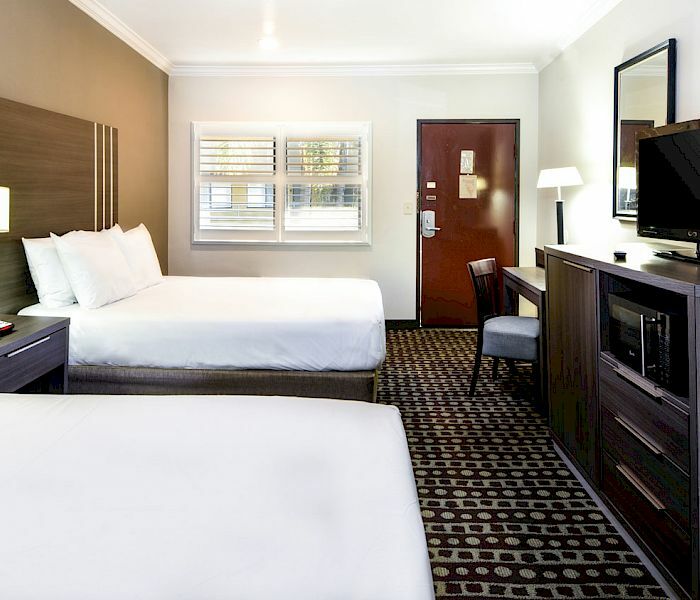 Commerce Rooms - Travelodge California - A Budget Hotel Rooms In Commerce. 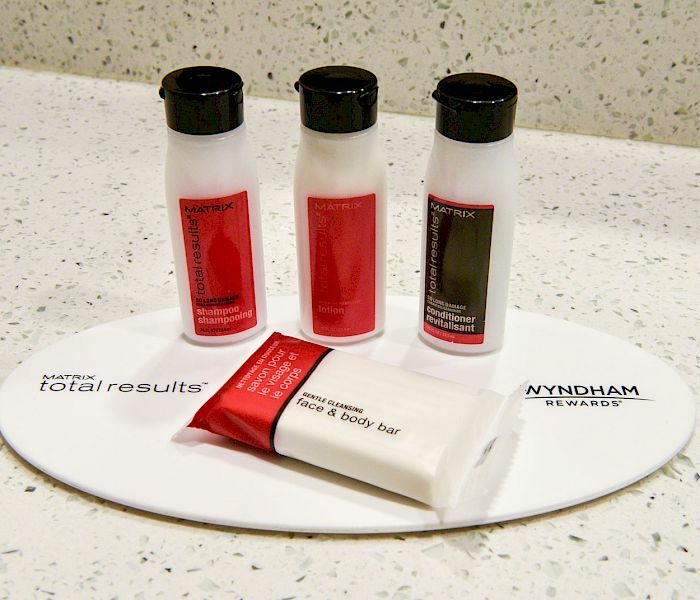 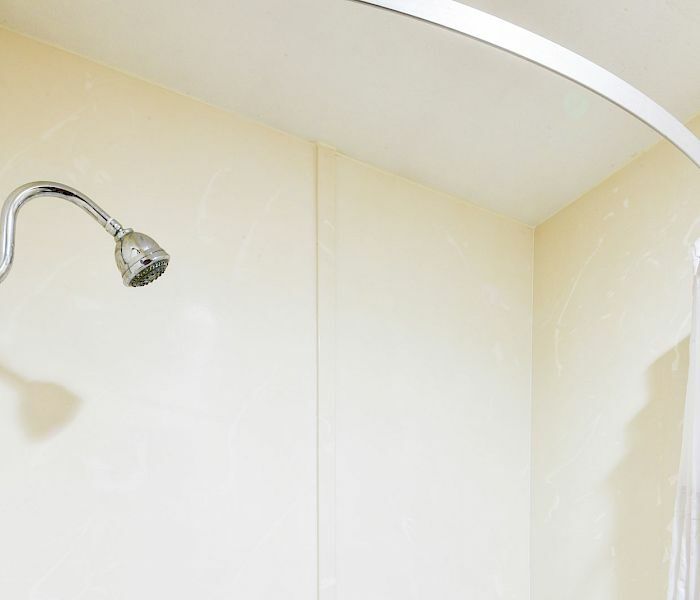 Enjoy refreshing amenities in our newly renovated hotel. 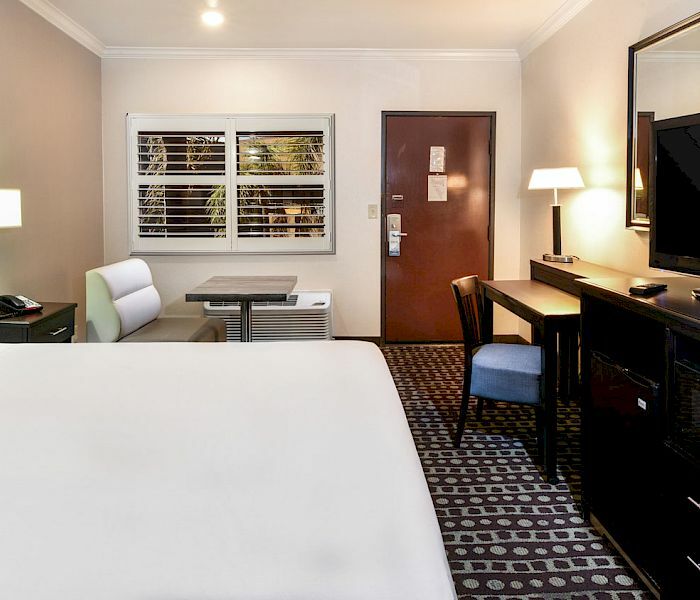 Relax and rejuvenate after a long flight - or a long night out - in your spacious Commerce room loaded with all the modern amenities and features you desire for business and vacation in the Los Angeles area. 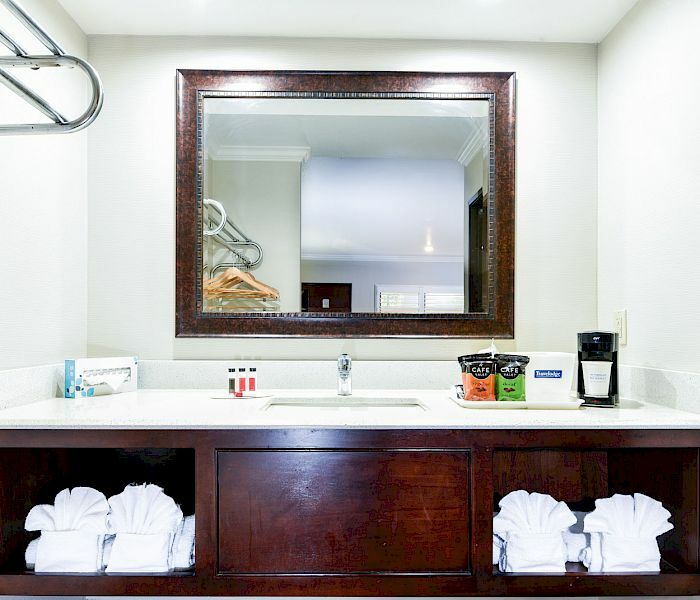 Perfect for business travelers or couples: Free high-speed WiFi, mini-refrigerator, microwave, coffee/tea maker, hairdryer, premium cable TV, desk, iron, ironing board and sitting area. 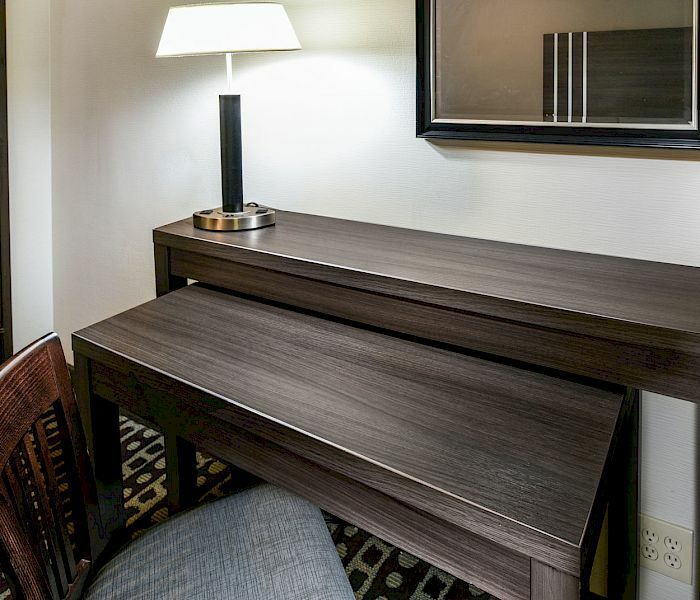 Families or a group of friends: Free high-speed WiFi, mini-refrigerator, microwave, coffee/tea maker, hairdryer, premium cable TV, desk, iron, ironing board, and sitting area.